I was beginning to doubt the wisdom of collecting my new P group start letter as we lined up at the start of this weekend’s Wellington Lions ride. Maybe it was the dim morning light, but the majority of riders and bikes around me somehow seemed more serious than my previous start group of S. In a very literal sense, I felt a bit out of my league. I tried to dispel the idea, putting it down to the earlier than usual 4am start to pick Marleen up and be here in time to sort out the new race number. It wasn’t long though before those initial doubts were confirmed. Not the usual relaxed cruising when the starter let us go, but a frantic surge of sprinting bikes carrying N, O and P jerseys all around me. I burnt a lot of gas over those first few rolling kilometres just hanging on to the bunch at the front of our start group. Gone was the loose and fast feeling in my legs and lungs from the 99er two weeks back. The bad omens started early too, we hadn’t left Wellington before my rear water bottle broke free and catapulted out of my tri-bracket. For a brief second I looked back at it bouncing off the road and wondered about collecting it. But even in those few moments, the group was already slipping away. Sod it! I decided to get back into the group and resigned myself to more water stops. Not a great start for what promised to be a hot day in the saddle. Unfortunately, that wasn’t the first or last casualty of the day. The bunch was positively charging down the R44 heading towards Hermon. Occasionally I was comfortable, but most of the time I knew the pace was way too hot for me. My Garmin had developed a nasty erratic behaviour, flickering between believable speeds, zero, and a few Km/h. So I had no confidence in it’s figures, knowing only that the average speed it was showing of around 20Km/h was wrong for sure – at my best guess, we were averaging close or even above 30. 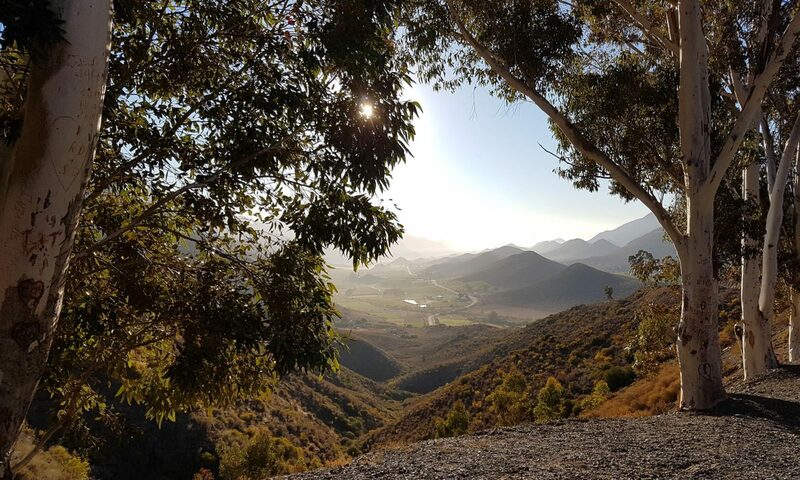 Three years had dulled my memory of the tough outride from Wellington, but my leg muscles reminded me as we came within sight of the day’s big climb, Botmaskloof. Standing to stretch, there was suddenly a gap of 10 metres from me to the back of the bunch. I changed up, and pedalled hard, but the gap stayed the same. Eventually, I had nothing more to fight with, and they slowly slid away just before we turned off the R44 and started the first ramps of the climb. Feeling broken and drained, my inner thighs cramping painfully, I wasn’t convinced I would make it up Botmaskloof without walking. It even flitted through my mind that I might not be able to complete the ride at all, and would have to pull off to wait for the sag wagon. 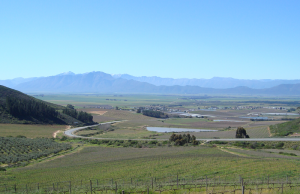 Needing to mentally regroup, I sat up, looked at the stunning scenery of the Riebeek Kasteel vineyards, and realised it was time to abandon my race plan and dreams of a sub 3:30 time. I needed to back-off, work through my cramps, and slog out the next few kilometres until I recovered from those early hectic salvoes. I decided to ignore the aptly ironic message of the sign for Allesverloren (‘everything is lost’), pushed past it and on into the pass. Slower and slower the pedals turned as I struggled up the steepening gradient. I made a bold decision, shifted up two gears and stood up to climb. Normally for me the standing motion triggers crippling cramps, but to my surprise the pedalling became light and pleasant. I could even enjoy the antics of a troop of baboons passing alongside us in the kloof. Alternating seating and standing, and taking in the glorious views, the hard work was over almost too soon and the welcome sight of the hilltop water stop came into view. I hadn’t planned to stop here, but with one water bottle down I needed to keep topped up. I was soon on my way again, and the descent was a welcome relief, occasionally the Garmin gave me a number I could believe, 40km/h, 50km/h, even flicking up to 60km/h at one stage. The speed and cooling wind breathed new life into my ride and as we leveled out I pedalled on solo with a new determination. Or something close to that hailed the leader of the one of the remaining bunches as they passed me a bit further on. The gracious offer was an attractive one down the long windy stretch of road. For a few moments, I did think about it. I looked at the range of hills, uncertain whether it was the Perdeberg or Rhebokskloof. The difference between those two meant 20km or more closer to home. I was pretty certain the 50km reading on the Garmin was out, but I decided the risk wasn’t worth it. We had at least 30km to go, my legs felt good and I was making good speed, pushing that bit harder though would almost certainly trash them again. That was the last bunch to come through, the rest of the ride was all solo – but no less enjoyable for it, despite being slower. The day was glorious, sunny and bright. A dusty heat haze spread over the rolling farmland interspersed with the little glinting mirrors of farm dams here and there. I’d long ago lost count of the kites, buzzards, goshawks and eagles also out enjoying the day. The privilege to be out riding on such a beautiful day was more than pleasure enough. Shouted the water stop marshall as we went past. The only figure I could trust on my Garmin was the time, and this was reading 3:08. Crikey, maybe I could make 3:30 after all. But some quick mental arithmetic and a memory of the undulating contours on the detour made me realise I would miss it, but only just. As it turned out, I also slowed a lot over the last 6km or so. My water bottle had gone, the Garmin was stuffed, and now it was me who was out of gas, both mentally and physically. But the day’s drama wasn’t over. As I swung left into Piet Retief Street for the last 500m of the ride a crack like a rifle shot came from somewhere behind and under me. Immediately, I was wobbling around the road amid cracking and groaning noises.A rear spoke had gone, and it was all I could do to get over the line. After everything else, the bike was now broken too. I was cursing my expensive, sparsely-spoked, Easton race wheels as I carried the bike through the 3 or 4km neutral zone back to the start. The road surface had been especially potholed and harsh, and I guess they’d had enough too. I was wandering blankly along, as Marleen shouted at me from the parking lot. She and Jakes were by their car. As it turned out her ride had not gone to plan either. She got a puncture at 42km, and although a fellow rider stopped to help her his efforts came to naught. The local bike shop had given her the wrong tube. Needless to say, she was not a happy customer. As she and Jakes both said though, better to find that now than on the Argus in two weeks. I reflected on my broken spoke, and realised the same was true for me. In a different way to the 99er, there were plenty of positives from the ride. At 3:42, it was my fastest pace for a 90-something kilometer ride, 6 minutes faster, 2km longer and a considerably tougher ride than Die Burger. And despite punishing my legs early on and cramping badly, I managed to stay pedalling up Botmaskloof, recover my legs and keep a decent pace for all but the final few kilometers. I am absolutely certain I had nothing more to give physically or mentally, but there is still a tinge of disappointment at not getting under 3:30. An unrealistic goal it may have been, but I got damned close even riding solo for more than half the ride. I’m sure I’ll be back another year to try again.